Playing and making music is a magical experience. At Cort, we understand that making great guitars is more than making a great product; it’s about creating dreams and doing the best we can to help people achieve those dreams. Whether you are a beginner novice wanting to learn to play a few old favorites or a serious pro on the international stage, playing the guitar is a visceral experience that you want to feel and savor over and over again. From learning to play the bar chord for the first time to improvising in front of a live audience, the feeling of magic is the same and you feel as you are living the dream. There are many things in life that bring joy and happiness but few can match the sheer euphoria and passion of playing and making music. The guitar can take you to new places - in body, in mind and in spirit. Immerse yourself in the sound and feel of the vibrating strings resonating in harmony. 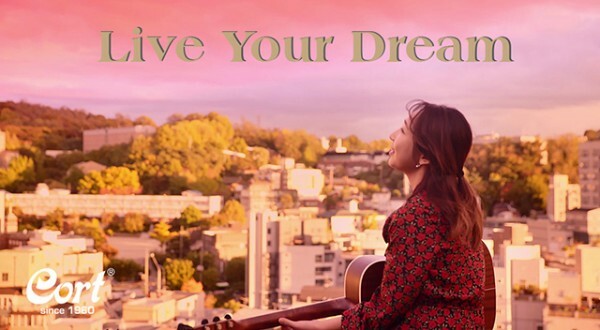 Live your dream of creating, playing and making music.